Hungry Planet: Is Optimism Ruining My Life? Is Optimism Ruining My Life? A tendency to expect the best possible outcome or dwell on the most hopeful aspects of a situation. I have always been an optimistic person. I tend to look to the future with hope, planning away under the assumption that all will turn out the way I have envisioned. My planning crosses over with dreaming at times but that is what drives me forward, you have to have something to live for, to strive towards. Of course there is no problem with being optimistic, if you have ever spent much time with a "glass half empty" type of person you will know which is the better to be. The problem comes in that I have a tendency to want it all and it stresses me out. I have trouble just going to work day in and day out and not planning for the future and I am rarely satisfied with the Status Quo. So with all this thinking and planning and hoping where do I draw the line? Where do I say enough is enough and live for today? There is a fact of life that is hard to hide from. It is called reality. Whilst I do strongly feel reality can be shaped by optimism I am enough of a realist to know you cannot control everything. Does expecting the best possible outcome set you up for serious failure? What happens when things don't go your way or what if you can't have it all? This is where my major conundrums of wanting it all comes to a head. I want to travel the world but I want the great Aussie dream of owning your own home. Balancing the money to incorporate both is tricky and my husband is constantly trying to focus my attention on the task at hand of saving for and building our own home. I want to cook and eat my way around world cuisines and cultures but I want to look like those Cross- Fit chicks you see on the internet. It's a fine line in experiencing and following your passion of cooking and eating and becoming bed ridden with obesity. I want the perfect house but I loathe house work to my core. I want to live a simpler life but the trappings of first world consumerism are like a Venus Fly Trap, enticing in their beauty but deadly once ensnared. It goes on and on I want, I want, I want and I want to stop wanting. Quite frankly I know deep down I have it all and it is completely unreasonable to keep asking the universe for more. I know this tendency to want it all and the feeling of being entitled to it is a first world issue. It disgusts me to the core but I am yet to find a way to just be. Be in the moment, be satisfied and stop looking forward and wanting wanting wanting. The great thing about travel is that it opens your mind and eyes to what you really have and what is important in life. If kids living off the contents of a garbage tip in Cambodia or a family of twelve living in a one room in Indonesia isn't enough to make you appreciate the privileged world we Australians live in then nothing will. Unfortunately to really reinforce those lessons I so crave I feel I have to travel and so continues the vicious circle of wanting. Funnily enough this wanting is one of the reasons I write this blog. It helps me focus my attention on one thing, I plan and write and cook and it keeps my head grounded for a time without drifting in to fanciful plans for the future that are far off, unobtainable or unreasonable. It is something I can do that doesn't cost money yet brings new experiences. It brings the world to me without the constant need to go out to it. 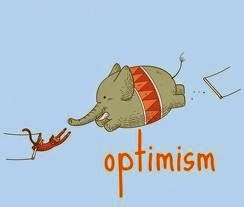 Does anyone else suffer from optimism in this exaggerated form or is it just me? A Revolution On The Australian Seas?